International Seaways, Inc. (NYSE:INSW) (the “Company” or “INSW”), one of the largest tanker companies worldwide providing energy transportation services for crude oil and petroleum products in International Flag markets, reported results for the third quarter 2018. -Net loss for the third quarter was $47.8 million, or $1.64 per share, compared to net loss of $21.8 million, or $0.75 per share, in the third quarter of 2017. Net loss this quarter reflects the impact of a loss on vessel sales, including held for sale impairment charges, of $17.4 million. Net loss excluding these items was $30.4 million, or $1.04 per share. -Time charter equivalent (TCE) revenues(A) for the third quarter were $51.3 million, compared to $56.5 million in the third quarter of 2017. -Adjusted EBITDA(B) for the third quarter was $6.3 million, compared to $16.0 million in the same period of 2017. -Cash(C) was $123.9 million as of September 30, 2018; total liquidity was $173.9 million, including $50.0 million undrawn revolver. -Announced contract to install scrubbers on seven of its modern VLCCs, intended to be funded with available liquidity. A further 3 options were declared in October for a total of 10 scrubbers to be installed. -Sold a 2002-built Panamax and agreed to sell a 2001-built VLCC during the quarter, which delivered to its buyer in October. Net loss for the third quarter was $47.8 million, or $1.64 per share, compared to the net loss of $21.8 million, or $0.75 per share, in the third quarter of 2017. The increase in the net loss in the third quarter of 2018 primarily resulted from an increased loss on disposal of vessels, including held for sale impairments, of $12.0 million, reduced TCE revenues of $5.2 million, higher interest expense of $6.1 million and a reduction in equity in income of affiliated companies of $7.5 million, as compared to the third quarter of 2017. These negative factors were partially offset by decreases in vessel expenses, third-party debt modification fees, depreciation and amortization, and general and administrative expenses. Net loss for the nine months ended September 30, 2018 was $95.9 million, or $3.29 per share, compared to $15.4 million, or $0.53 per share, for the nine months ended September 30, 2017. Consolidated TCE revenues for the third quarter of 2018 were $51.3 million, compared to $56.5 million in the third quarter of 2017. Shipping revenues for the third quarter of 2018 were $60.9 million, compared to $60.0 million in the third quarter of 2017. Consolidated TCE revenues for the nine months ended September 30, 2018 were $150.1 million, compared to $209.9 million in the prior year period. Shipping revenues for the nine months ended September 30, 2018 were $169.8 million compared to $220.7 million in the prior year period. The decline in TCE revenues was due in part to a decline in average daily rates in the VLCC and Product Carrier fleets. Fewer revenue days in the MR sector resulting from vessel sales and redeliveries of charter-ins during 2017 and 2018 also contributed to the overall decline in revenue. Partially offsetting these decreases was an increase in revenue days in the VLCC fleet, reflecting the acquisition of seven modern VLCCs between November 2017 and June 2018. The reduction in equity in income of affiliated companies was principally attributable to decreases in earnings from the two FSO joint ventures as charter rates in the five-year service contracts that commenced during the third quarter of 2017 are lower than the charter rates included in the service contracts under which the FSO joint ventures had previously operated. In addition, interest expense for the two FSO joint ventures increased in the third quarter of 2018 compared to the third quarter of 2017 as a result of drawdowns on debt facilities aggregating $220 million during April 2018. In addition, revenue generated by the LNG joint venture during the third quarter of 2018 was lower than revenue generated during the third quarter of 2017 as a result of a reserve recorded for a potential offhire claim related to damages to the engine of one of the joint venture's vessels. The increase in interest expense was primarily attributable to the impact of debt facilities entered into by the Company during the second quarter of 2018 in connection with the completion of acquisition of six VLCCs from Euronav NV, accounting for $5.5 million, with the higher average outstanding principal balances under the Company's 2017 Credit Agreement than under the 2014 facility that it replaced late in the second quarter of 2017 and higher related interest rates accounting for the balance. Adjusted EBITDA was $6.3 million for the quarter, compared to $16.0 million in the third quarter of 2017. Adjusted EBITDA was $22.1 million for the nine months ended September 30, 2018, compared to $94.6 million for the nine months ended September 30, 2017. TCE revenues for the Crude Tankers segment were $40.3 million for the quarter, compared to $34.9 million in the third quarter of 2017. This increase primarily resulted from the acquisition of modern VLCC and Suezmax tonnage, which contributed an incremental $9.0 million and the impact of higher average blended rates in the Aframax and Suezmax sectors aggregating approximately $1.2 million. Aframax and Suezmax spot rates increased to approximately $12,600 and $17,100 per day, respectively. Lower average blended rates in the VLCC fleet accounted for a decline in revenue of $4.2 million, with VLCC spot rates declining to approximately $13,900 per day. There was a larger disparity in the spot rates earned by the Company's modern and non-modern VLCCs in the current period versus the third quarter of 2017. VLCCs aged 15 years or less earned an average daily rate of $15,398 per day compared to the overall VLCC rate of $13,891 in the current period, while in the prior year's period the VLCCs under 15 years of age earned an average daily rate of $16,489 per day compared to the overall VLCC rate of $16,171 per day. Partially offsetting the increase in revenue days from the acquisition of modern tonnage was the impact on revenue days of the disposal of older tonnage: a 2001-built VLCC, which was idle from August prior to its sale in October 2018, a 2000-built VLCC in April 2018, the Company's only ULCC in June 2018 and a 2001-built Aframax in May 2018. Shipping revenues for the Crude Tankers segment were $49.9 million for the quarter, compared to $38.3 million in the third quarter of 2017. TCE revenues for the Crude Tankers segment were $104.0 million for the nine months ended September 30, 2018, compared to $136.7 million for the same period last year. Shipping revenues for the Crude Tankers segment were $123.4 million for nine months ended September 30, 2018, compared to $146.1 million for the same period last year. TCE revenues for the Product Carriers segment were $10.9 million for the quarter, compared to $21.6 million in the third quarter of 2017. This decrease was primarily due to a decline in average daily blended rates earned by the MR, LR1 and LR2 fleets, with spot rates declining to approximately $7,400, $9,500 and $8,900 per day, respectively, aggregating approximately $4.1 million. Additionally, a 678-day decrease in MR revenue days in the third quarter, arising primarily as a result of the sales of five MRs between August 2017 and April 2018 and the redelivery of three MRs to their owners between December 2017 and June 2018 at the expiry of their respective bareboat charters, accounted for $6.4 million of the reduction in TCE revenues. Shipping revenues for the Product Carriers segment were $11.0 million for the quarter, compared to $21.7 million in the third quarter of 2017. TCE revenues for the Product Carriers segment were $46.1 million for the nine months ended September 30, 2018, compared to $73.2 million in the 2017 nine-month period. Shipping revenues for the Product Carriers segment were $46.4 million for the nine months ended September 30, 2018, compared to $74.6 million for the same period last year. 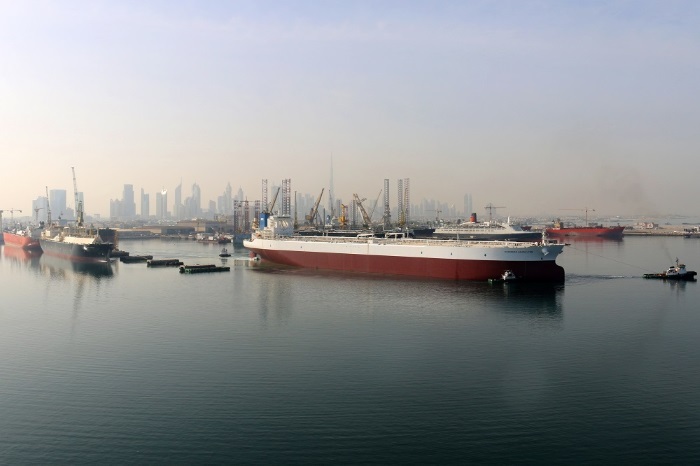 During the quarter, the Company sold a 2002-built Panamax, and agreed to sell a 2001-built VLCC for further trading, which delivered to the new owner in October. Subsequent to the end of the quarter, the Company sold and delivered a 2001-built Aframax in October. 09/11/2018 00:00 - Sulphur cap ahead!